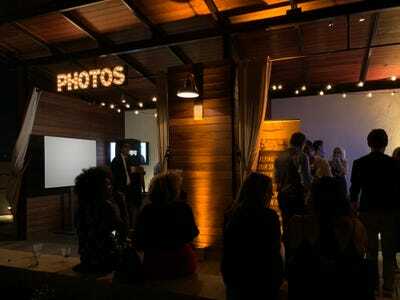 Joe Scarnici/GettyTech billionaires and Hollywood’s elite gathered on a rooftop bar in Austin for a party at SXSW. 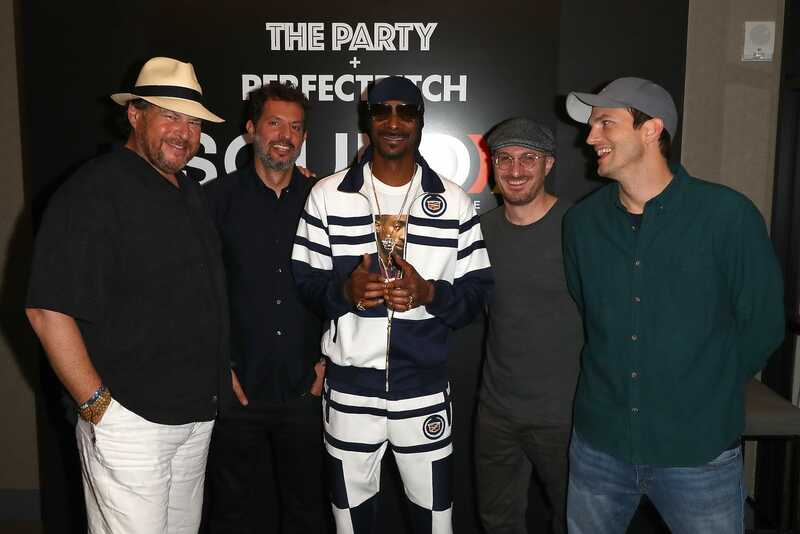 Marc Benioff, Ashton Kutcher, Elon Musk, and Snoop Dogg walked into a bar. And the night only got crazier from there. 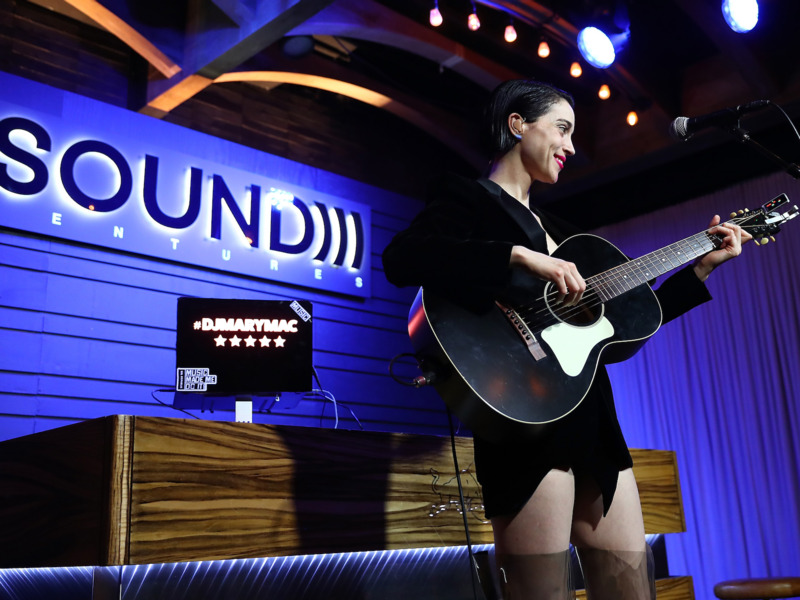 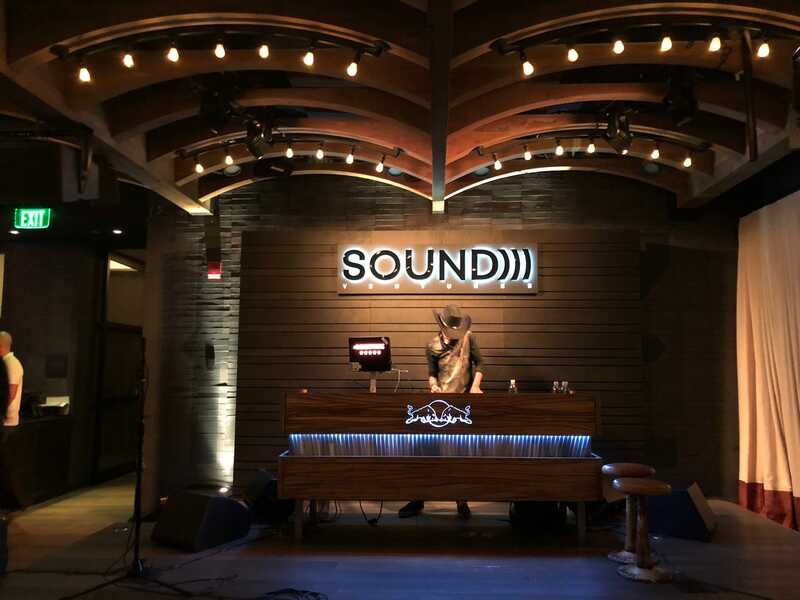 Sound Ventures, a tech-investment firm founded by Kutcher and the talent manager Guy Oseary held one of the most exclusive and lavish parties at the SXSW film festival and tech conference on Saturday night. 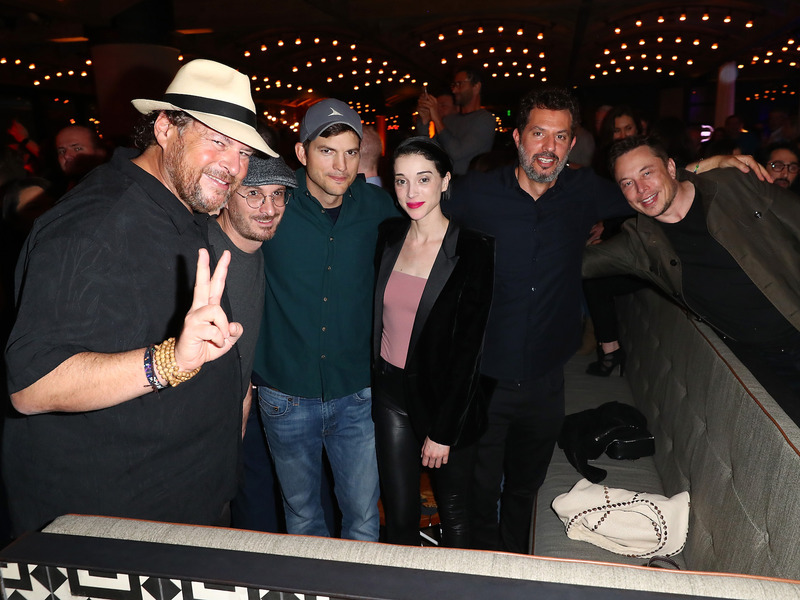 Powerful forces from Hollywood and Silicon Valley came together for the event – dubbed “The Party” – set on a rooftop bar in Austin. Business Insider got into the invite-only bash. Here’s what happened. “The Party” was the event everyone was clamoring to get into at SXSW this year. I practically begged my way onto the guest list through Sound Ventures. But an RSVP didn’t guarantee those invited a spot inside the party, held at Austin’s Kimpton Hotel Van Zandt. 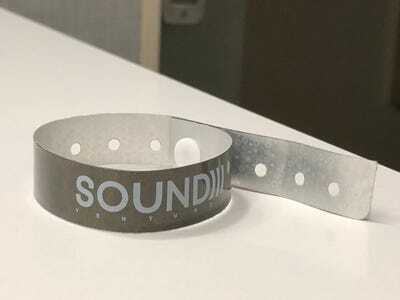 Guests had to arrive during certain hours at the hotel to pick up a wristband. 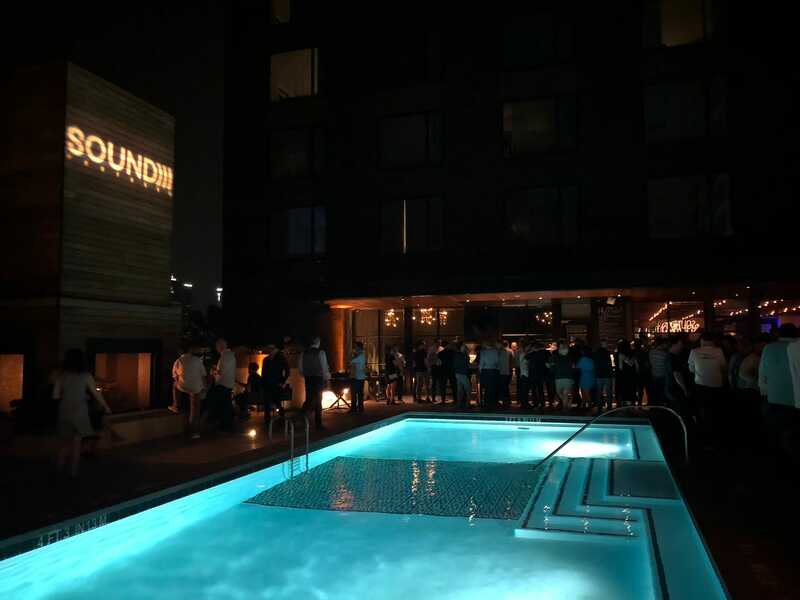 Melia Robinson/Business InsiderThe party was inside Geraldine’s, the swanky, fourth-floor bar and restaurant at Austin’s Kimpton Hotel Van Zandt. 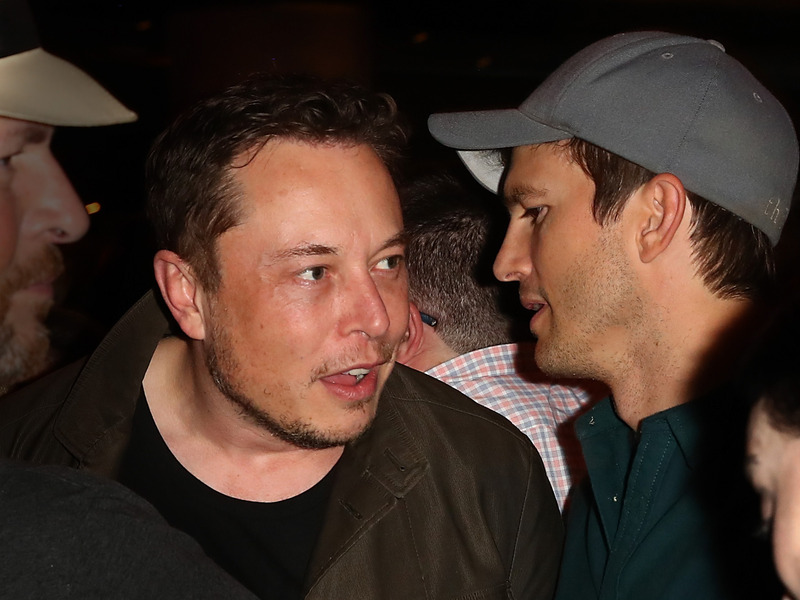 Guests — including investors, entrepreneurs, and tech billionaires — milled around the pool. The pool cabanas had been transformed into amenities stations, like this photo booth. 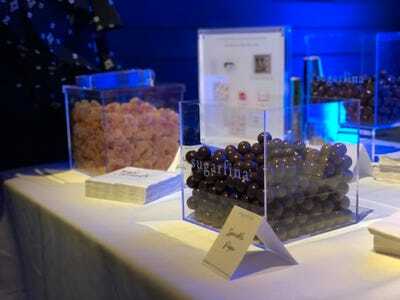 But I made a beeline for Sugarfina’s booth. Essentially a candy boutique for grown-ups, the Los Angeles-based Sugarfina is known for its sweet treats inspired by and infused with different cocktails and wines. 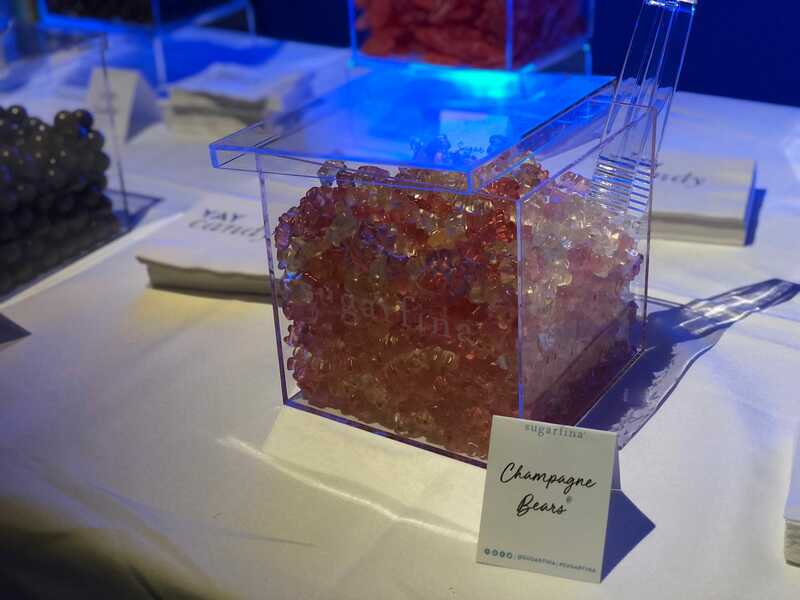 Made with Dom Pérignon vintage Champagne, these sophisticated gummy bears came in flavours of brut and rosé. 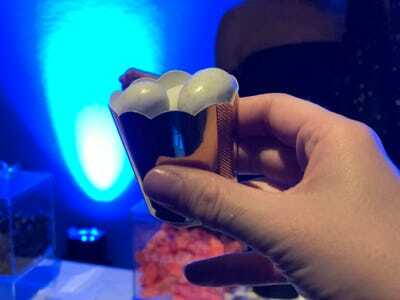 The impossibly cute candies won’t get you drunk though. A hostess put together a sampler cup for me that included dark-chocolate cordials filled with a sip of Tito’s Vodka and milk-chocolate truffles that shimmered with gold. 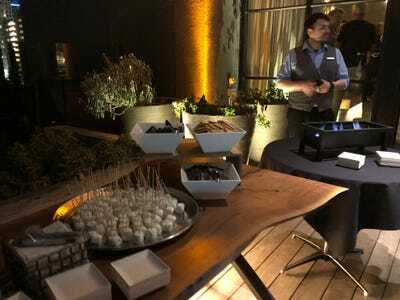 I made my way to the open bar and double-fisted my chocolates and a drink. 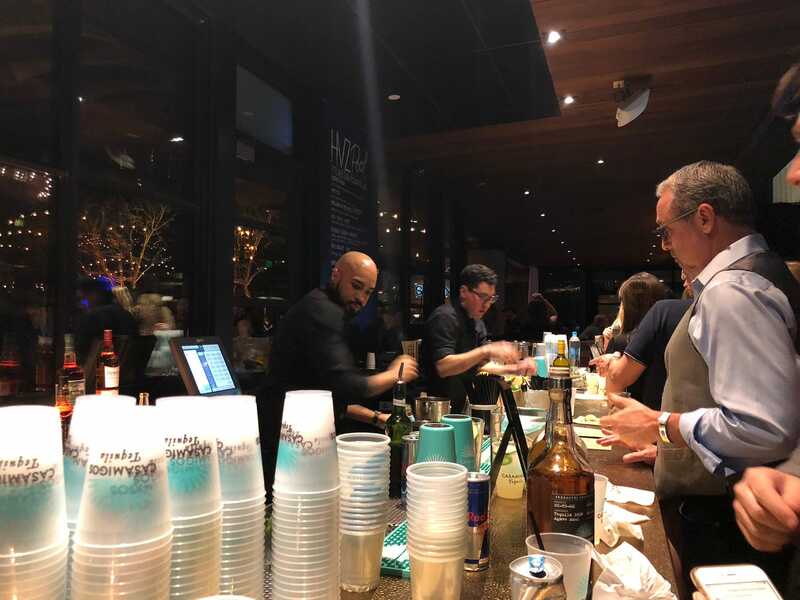 Casamigos spirits company made a mean margarita with tequila, cucumber, jalapeño, and fresh lime juice. 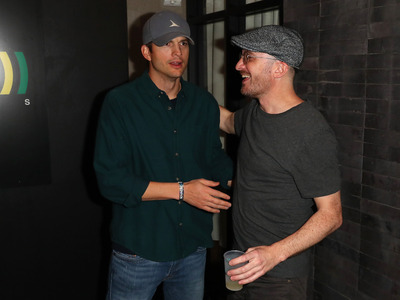 Kutcher took the stage, and a crowd swarmed around him. 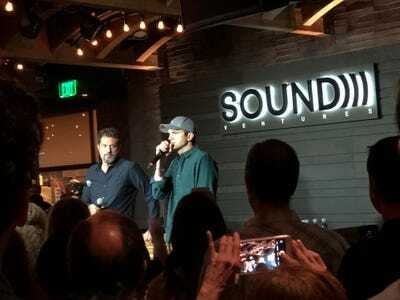 He thanked Sound Ventures’ portfolio companies. “They make me so proud to do what I do,” said the actor-investor. 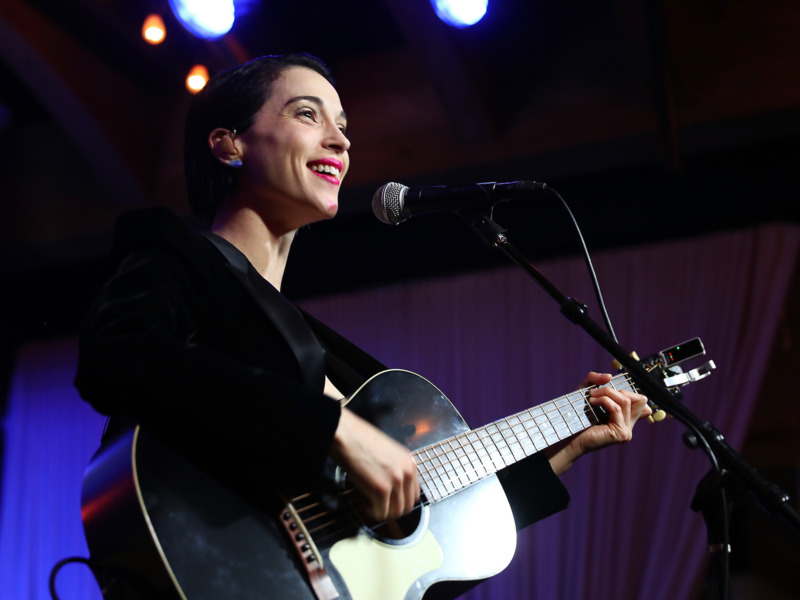 St. Vincent, a Texan musician whose real name is Annie Clark, performed a solo act. She serenaded the crowd with her ethereal blend of indie rock and chamber pop. I left the dance floor for a hot second to visit the self-serve s’mores bar. 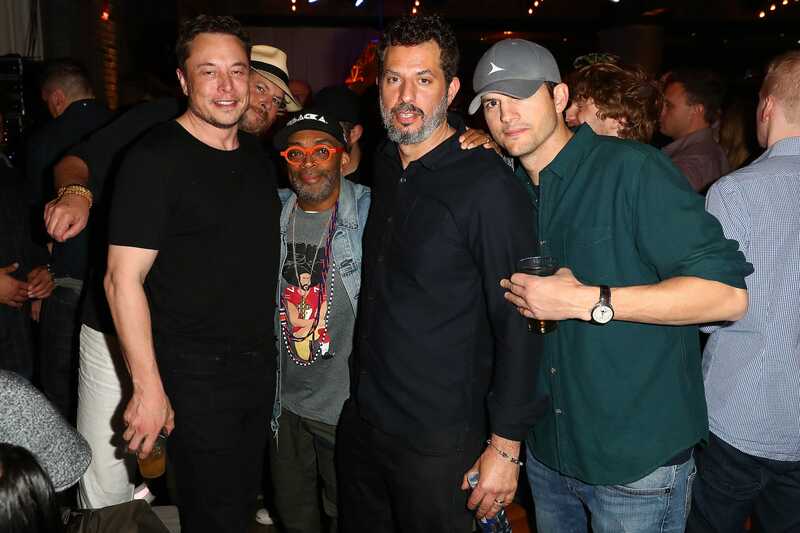 The party began to fill with Silicon Valley celebrities. 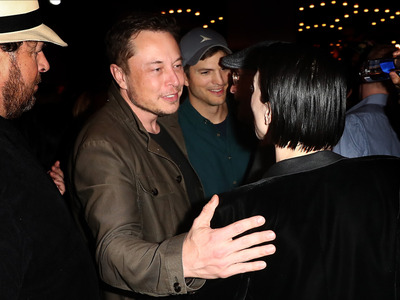 Tesla CEO Elon Musk made his way toward the reserved-seating area. Salesforce’s Marc Benioff flashed a peace sign in a photo with his fellow tech idols. 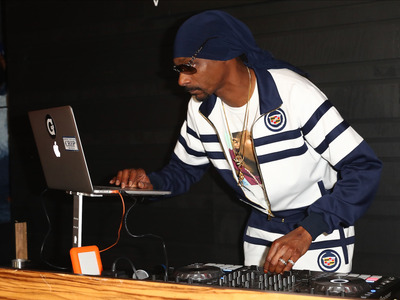 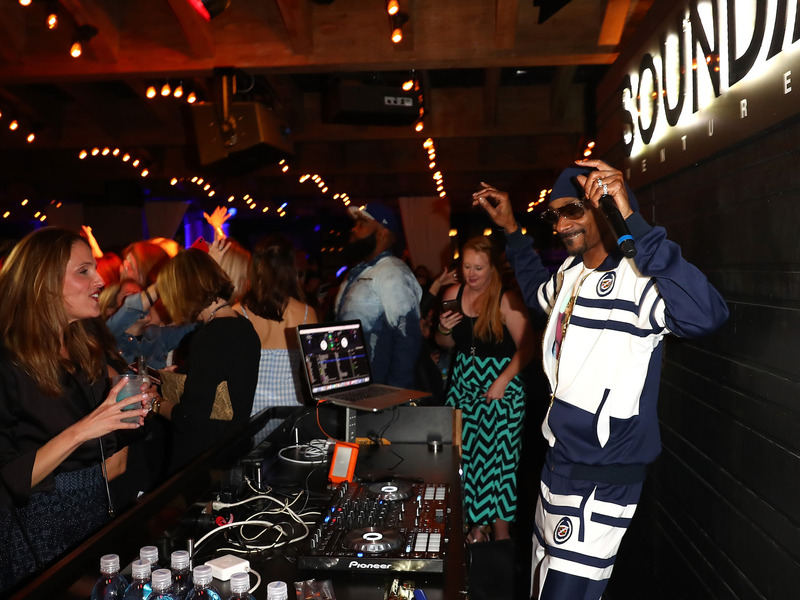 “The Party” was turned up to 11 when Snoop Dogg took over the turntables for a DJ set.